President Donald Trump proposed a vague new tax cut plan, catching Republican lawmakers off guard. Sen. Orrin Hatch of Utah, a top Republican retiring in 2018, said passage would be “highly unlikely” in the final months of the year. Republicans have defended the popularity of their tax cuts, despite polling showing little gains with voters. 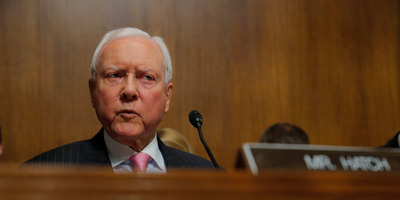 WASHINGTON – Republican Sen. Orrin Hatch called President Donald Trump’s idea to usher in another middle-class tax cut “highly unlikely” to even get a vote in the final months of 2018, showing little signs of life for the proposal the president sprung onto Republicans last week. But Hatch noted that if the unknown new tax cuts were to get a vote at some point in the future, passage was not an entirely impossible task. While details of the new tax cut are still unknown, as many Republicans were caught by surprise at Trump’s announcement during a campaign rally on Saturday, Hatch said “a lot of factors” would determine any kind of vote happening. With Republicans potentially losing their majority in the House this year, as well as having a slim majority in a Senate already tasked with a heavy legislative calendar, more tax cuts might be a pipe dream. Immediately, administration officials clarified that nothing about the tax plan was concrete. Treasury Secretary Stephen Mnuchin said the proposal would not be passed by the midterm elections, as Congress is not even in session for the remaining few weeks. All the confusion surrounding the sudden announcement by Trump prompted speculation that it was to save face on the Tax Cuts and Jobs Act, which has struggled to gain favorability among American voters. In the Oval Office, Trump played down the law’s unpopularity. Republicans are often very quick to defend support for the tax law, which has so far been their signature policy achievement during the Trump presidency.